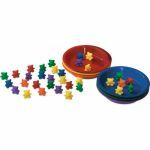 Helps teach sorting and color recognition. 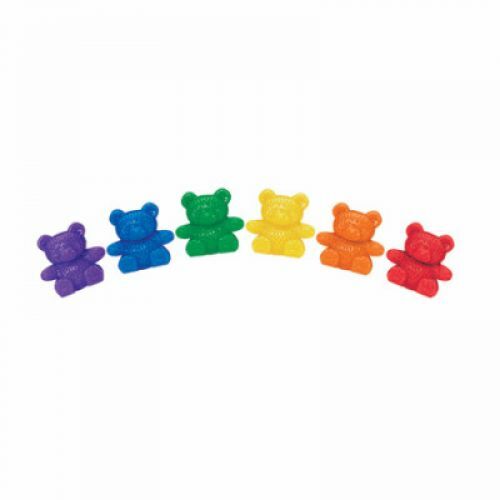 Set combines 102 Baby Bear™ Counters in six vibrant colors with matching sorting bowls. 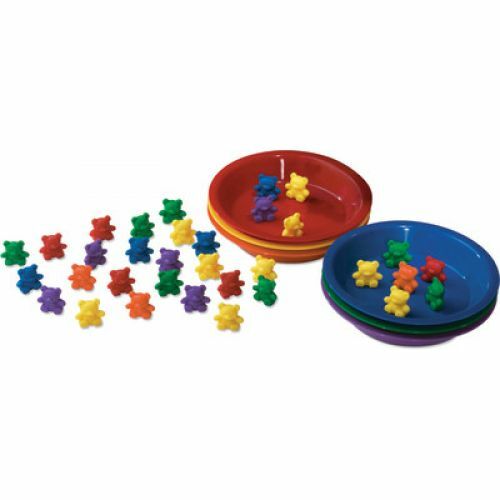 Each counter is 1" tall; plastic bowls are 6" in diameter, 1" deep. 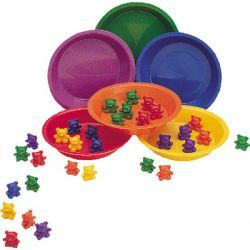 Ages 3-7.